This is a true love story. 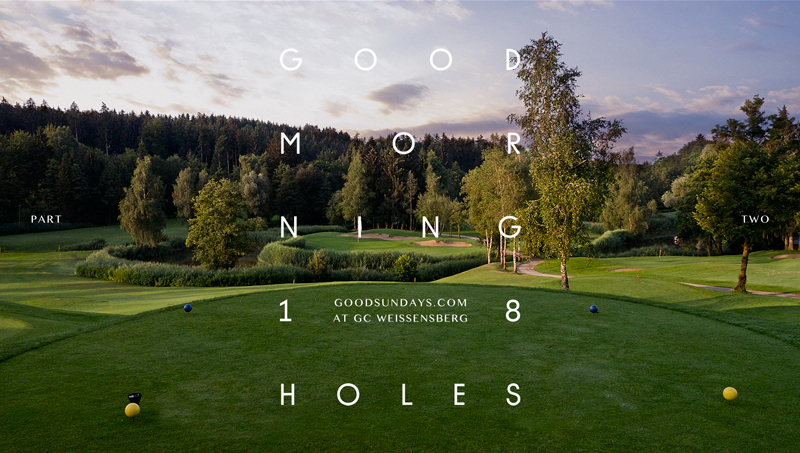 I played GC Weissensberg for the first time four years ago, when I started my project Goodsundays.com, and it’s high time I wrote about this remarkable place again. 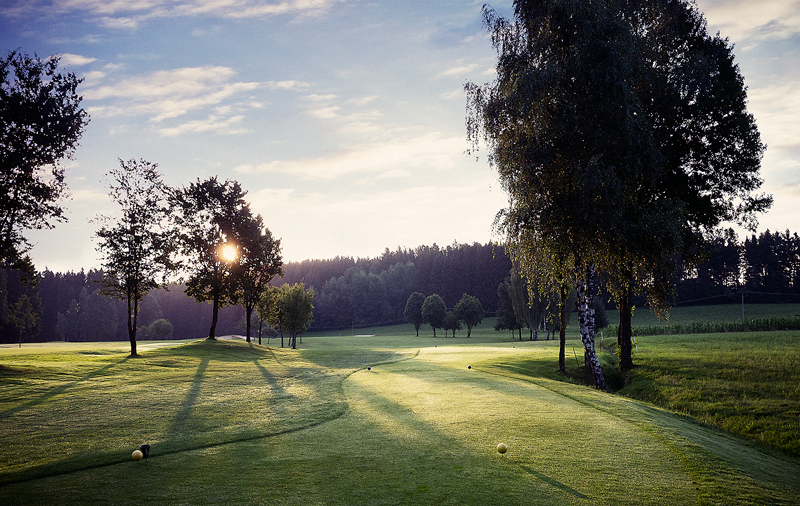 Each of the last 4 years, I had the opportunity to stay at Golfhotel Weissensberg and play a round at GCW during my visit to the Outdoor fair in Friedrichshafen for my client Sympatex. 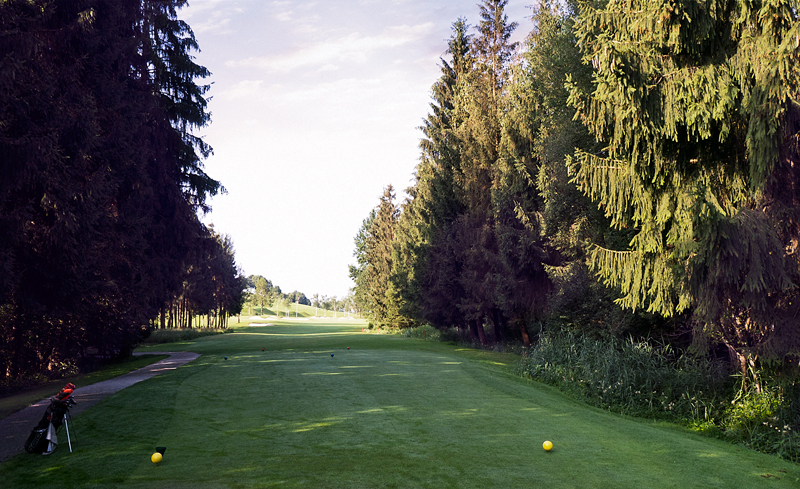 But teeing it up at GC Weissensberg I am again and again and again super stoked by the quality of this course. 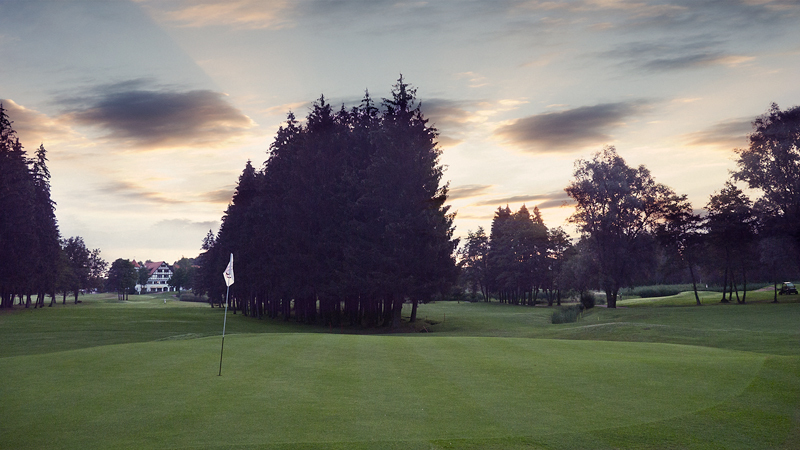 Being the first person on a nice day to play this course is something truly special, including a fantastic sunrise. But the fact that this is the only German course designed by the architect Robert Trent Jones Sr. makes it even more special. 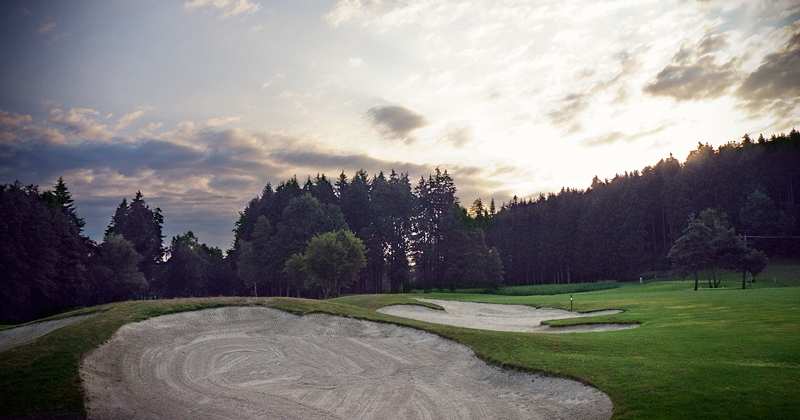 More than a hundred bunkers and an outstanding design that stands out from the other Bavarian courses in this area really make GCW a unique place. Besides, every time I played it, GC Weissensberg was always in such a good shape. Playing this course is a real treat. 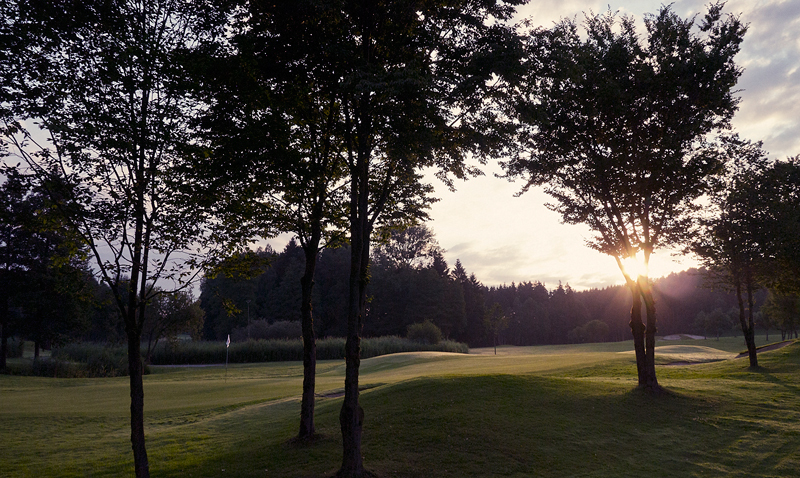 Fast greens, perfect fairways and a super friendly staff … there’s not a single thing to complain about. 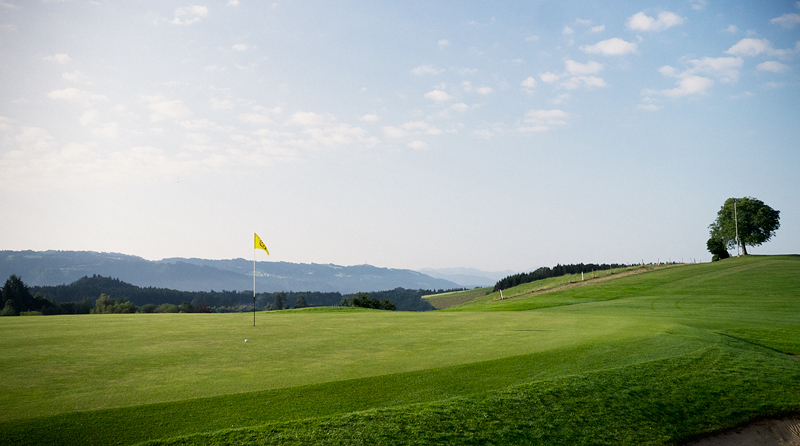 Except maybe the fact that the course itself is very tough to play. You need to be straight and you really need to be good on the greens to bring home a good score. Usually I have a signature hole on the courses I play. In the Case of GC Weissensberg there are several. On the first nine it’s hole no.3, a long dogleg left 374m from the yellow tees with a nice bunker arrangement directly in my landing zone. So don’t try to play Tiger Line. 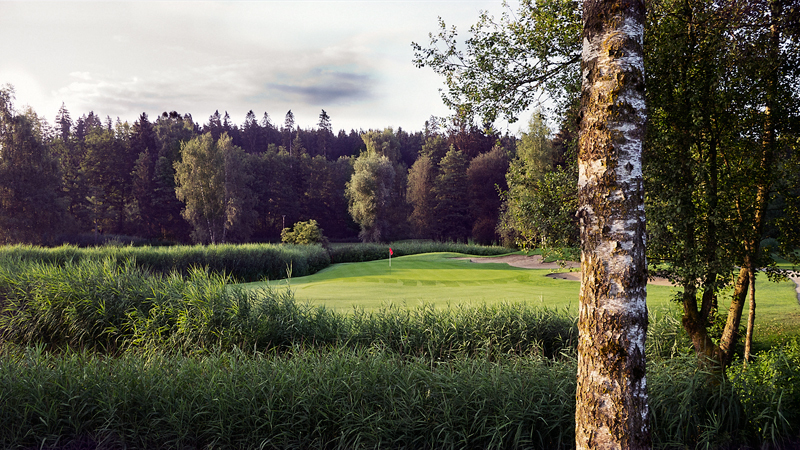 My second signature hole on the front nine is still no.5 – a par3 with 167m from yellow. The tee is located high above the green, which is protected by water hazards, so you really have to hit the green to stand any chance. But even if you do, there is still so much elevation on it that the playing part is really not easy. Another beauty is no.7, a long narrow par5 with 505m from yellow. It also has some ugly traps strategically placed in the landing zone of the drive, like a small river that crosses the fairway. You really have to hit the green with the third shot. If you don’t, you will end up in one of the six bunkers which protect the green. On the back nine, there is one hole that I really, really love. 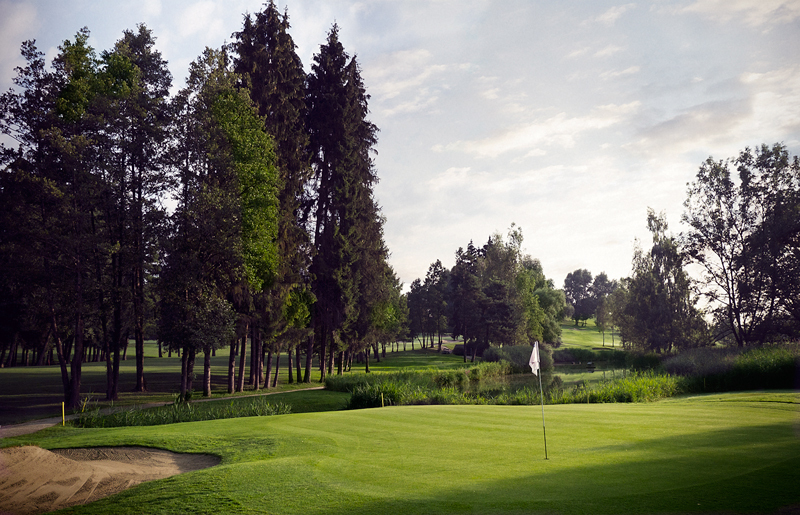 No.10 – 338m long and just behind the clubhouse and the highest point of the course. 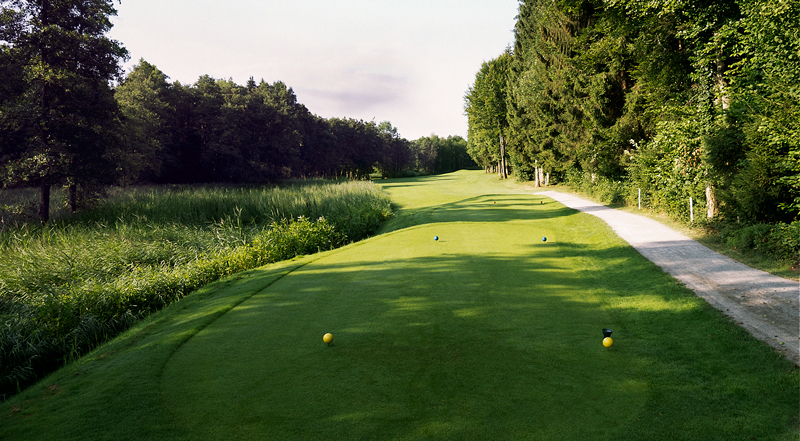 You need a good drive to have any chance of reaching the green. From the green you have an awesome view of the surrounding area. To sum it up, GC Weissensberg is a total must and highly recommended. 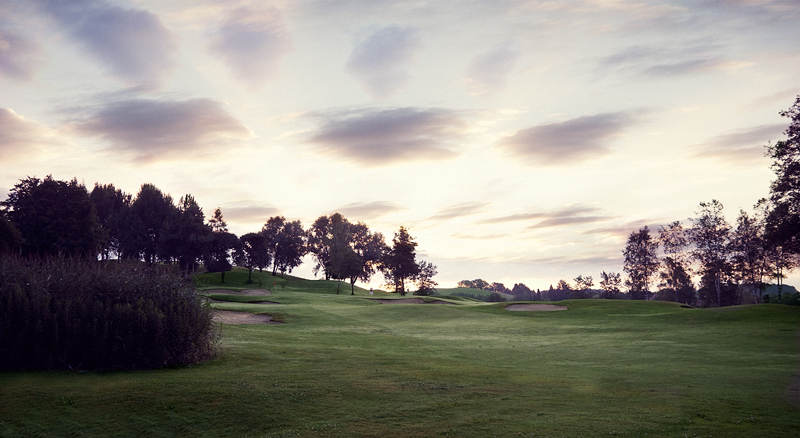 Combine it with one or two nights at the Golfhotel for maximum convenience.